When you’re just starting out in agriculture, or if you’ve recently added a new animal or crop, you’re usually packed to the gills with questions—and understandably so. You’ve likely put a decent financial investment into this project, and the last thing you want is to waste all that money and time without having any edibles at the end of it. Fortunately, there are a wide variety of resources at your disposal in this modern age—libraries, the Internet, HobbyFarms.com (hint, hint)—but even then, it can be difficult to find the answers to a specific question, and that’s where the two books below come in. Like The Rabbit Raising Problem Solver before them, The Beekeeper’s Problem Solver and The Chicken Keeper’s Problem Solver are set up in a question-and-answer format, designed to make it easy to find the answers to 100 common questions, including both how to resolve the issue at hand and what is causing it. 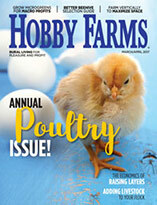 The discussions points are grouped into themed chapters—egg production and behavioral problems for chickens; equipment and honey production for bees—allowing readers to peruse other related issues to the topic at hand. Each discussion runs no more than a page in both books, making some of the questions a bit surface-level, which makes the books ideal for beginners, but intermediate and advanced keepers will likely want to turn to another source for answers. The beekeeping installment is probably the more valuable of the two books. It starts from the ground up—the first problem tackled is “I don’t know how to start beekeeping”—so if you’re new to the practice, its entire first chapter is tailor-made for you, addressing issues like not knowing what time of year is best to start with bees and properly siting a hive. That said, the complexity of beekeeping cannot really be summed up in 100 questions or 224 pages—for example, the book deals primarily with Langstroth hives, which will leave top-bar beekeepers scratching their heads in some places. Thankfully, a lot of the information is widely applicable—Varroa mites will affect a colony no matter what hive type they live in—and author James E. Tew does a nice job providing useful, practical tips and pointing out where novice beekeepers should look for further information. 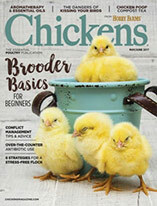 Like beekeeping, chicken-keeping is also difficult to sum up in a limited space, but The Chicken Keeper’s Problem Solver does an admirable job covering the essentials. 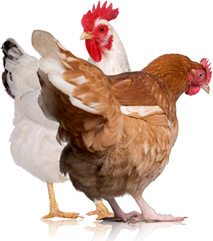 In the introduction, author Chris Graham writes that the secret to identifying issues in your flock is developing a good working knowledge of normal chicken behavior and an appreciation for how hens work to disguise any illness or injury, and that is exactly what this book does. From housing concerns and parasites to incubation and chick-rearing, Graham hits both major and minor issues, addressing them in an authoritative yet conversational tone. Basically, if you’re new to either beekeeping or chicken-keeping, these two books are probably worth your while: You’ll avoid getting caught off-guard by surprise infestations or drops in production, and you’ll be able to tackle the issues with aplomb. Just keep in mind that you’ll eventually outgrow the books—and that’s exactly what you’re designed to do. The Final Word:These two books are great reference material for burgeoning beekeepers and chicken keepers, respectively, but you’re best served checking them out of the library—once you have a little experience under your belt, you’ll likely move beyond their scope.